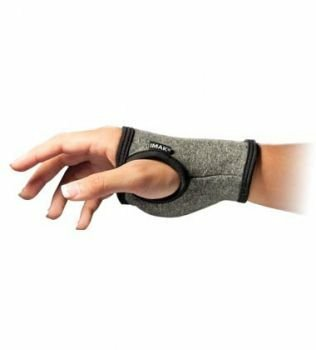 The IMAK® Computer Glove provides superb wrist support, cushioning and protecting your wrist from hard surfaces and laptop heat. IMAK’s ergoBeads™ pad gently massages your palm while supporting your wrist in an ergonomic position. 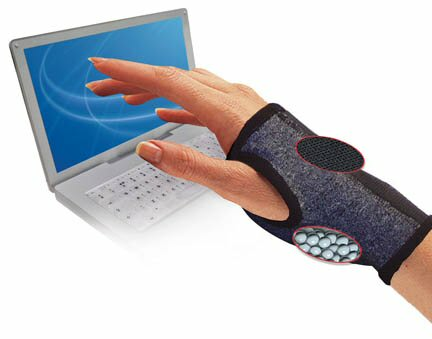 The IMAK Computer Glove also helps prevent and relieve pain from repetitive motion injuries such as carpal tunnel syndrome (CTS). Our Computer Glove is the perfect mobile wrist support for computing and gaming comfort. Use the IMAK Computer Glove with your laptop, desktop, keyboard, mouse, Blackberry, video games or when writing.